The Duruflé Requiem has firmly obtained its place in the choral canon after that of Gabriel Fauré, which was performed as part of this series last season. The composer based his work on the Gregorian chants for the Mass of the Dead. It is truly a quintessential reflection of early 20th century Parisian liturgical musical culture. 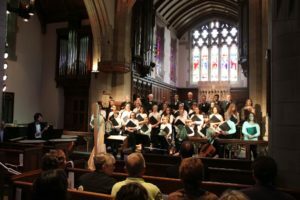 The St. John’s 40-voice choir of children and adults joins forces with Hartford’s favorite organist, Larry Allen, along with trumpet and timpani, in this sublime performance, on Saturday, March 23 at 3pm.